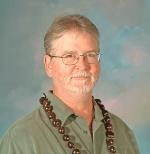 Matt Glei is owner of Know-how Consulting in Honolulu, Hawaii. This consultancy provides performance coaching in areas such as collaboration, knowledge management, intellectual property, virtual teams, program, project and risk management. Matt also has long experience in product development, project portfolios and strategic planning. Matt has also developed several Quality Systems, compliant with ISO and FDA guidelines. Matt is certified as a Project Management Professional by PMI and is a Certified Scrum Master (Scrum Alliance). Matt has spent his 30-year career in high technology and medical product development and operations. His background includes significant periods in Research & Development, Operations as well as Marketing. His career includes 5-person start-ups, all the way to 350 M$ high-volume businesses with thousands of employees. As different as these company situations appear, the fundamental performance problems remain the same.